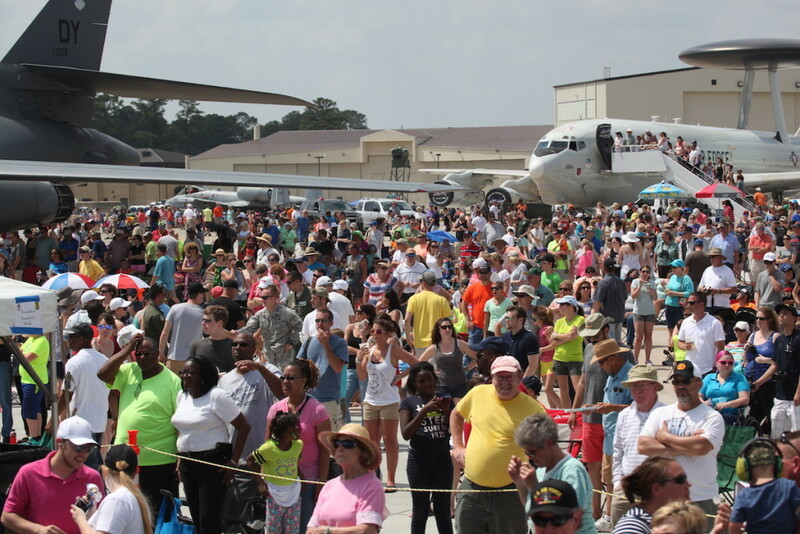 SEYMOUR JOHNSON AIR FORCE BASE, NC – After a four-year hiatus due to congressional sequestration, Seymour Johnson’s 2015 Wings Over Wayne Air Show returned May 16-17 and thrilled an estimated 220,000 aerial enthusiasts. Attendance soared past a record crowd of 175,000 in 2011 and exceeded expectations for 2015. 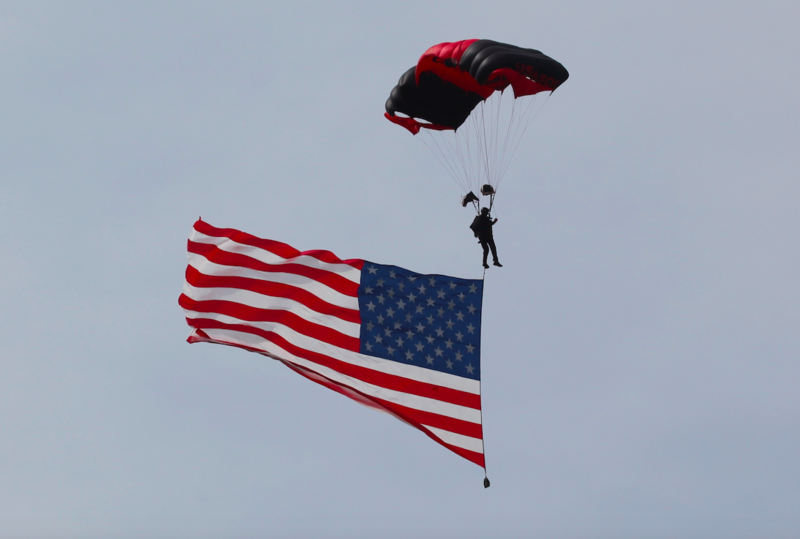 The event featured aerial and ground performances from multiple military and civilian performers, as well as static displays of dozens of the Air Force’s most prominent aircraft for spectators to view up-close. The show was highlighted by the U.S. Air Force Thunderbirds aerial demonstration team. The group performed a myriad of acrobatic aerial maneuvers and precise formations to demonstrate the many capabilities of the F-16 Fighting Falcon. While many of the performances focused on showcasing the abilities of both aircraft and aircrews, including the 4th FW’s very own F-15E Strike Eagles, others provided a different style of entertainment. The Commemorative Air Force’s “Tora! Tora! Tora!” demonstration team recreated the Dec. 7, 1941, Japanese attack on U.S. Naval Station Pearl Harbor, Hawaii, with six World War II reproduction Japanese airplanes. The show stood as an active history lesson and memorial to those who lost their lives that day. Free concerts closed out both days of the airshow. North Carolina native and national recording artist Kellie Pickler performed Saturday night, and Sunday was closed out by American Idol finalist Majesty Rose, who is also one of Goldsboro’s own. Overall, the airshow delivered a variety of attractions for the masses to enjoy. For additional information about the Seymour Johnson Wings Over Wayne Air Show for 2015, see this press release.